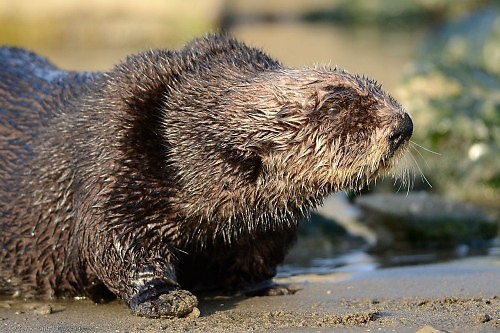 Of California (southern) sea otter deaths, 17% are from a parasite called Toxoplasma gondii. This land-based parasite makes it way to the otters' food source through cat litter. Cats cannot deal with this parasite and release the parasite's eggs through their litter. Cats get the parasite by eating smaller infected animals such as birds, mice, etc. Most sewage treatment plants are unable to remove this parasite. The parasite is ingested by the otter's food source, where the concentration of the parasite is magnified. As of the 2010 annual count, there are only an estimated 2,711 California sea otters. 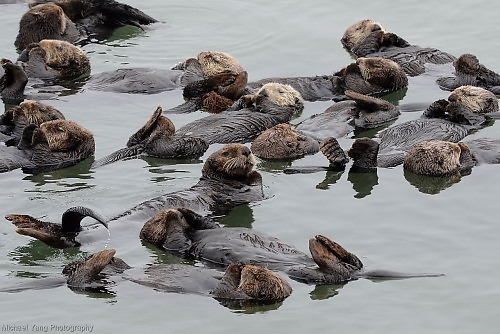 After a decade of population growth, the number of sea otters has leveled off for 3 years and in 2010 declined. They are a federally listed threatened species. 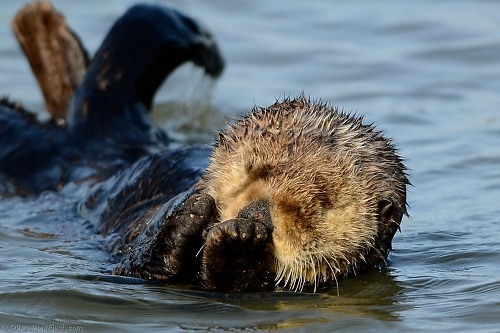 Sea otters eat about 25% to 30% of their weight daily and have a diet that includes crabs, mussels, and abalones. Most humans are immune to Toxoplasma gondii. People with weak immune systems or HIV/AIDS can be harmed or killed by the parasite. Pregnant women's fetuses can also be harmed or killed by the parasite. Don't flush cat litter - Dispose of it securely in a plastic bag and throw it out with the trash. Keep your cat indoors - They won't have the opportunity to eat infected animals and their litter won't have a chance to wash into the sewage system. Tell your friends - We don't all own cats, but your friends might.